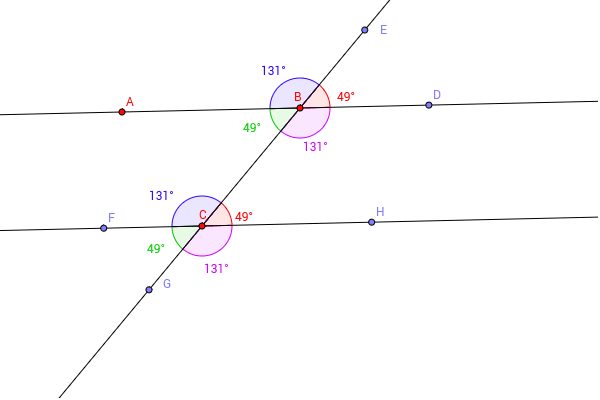 Use points A, B, and C to change the angle values. When a transversal intersects two parallel lines, what angle relationships are formed? Make as many observations as you can.